With kids around or houseguests over, it sometimes gets rather loud in our homes. Banging doors is one of the most common sources of noise, and with Sugru, you can turn this problem into an upcycling project. Who said practical can&apos;t be pretty? 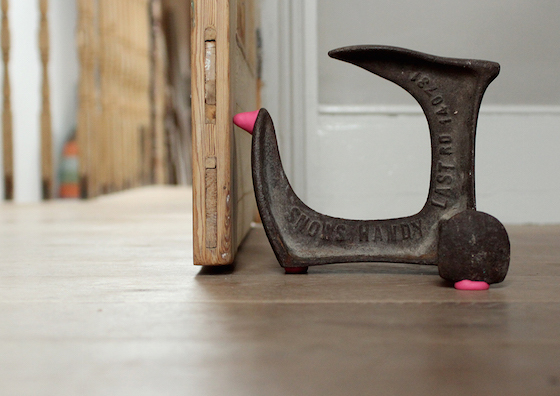 This is a really popular idea among Sugru-ers — we&apos;ve spotted loads of you creating your own one-of-a-kind door stops for your home, turning a SLAM into a satisfying BOMF! With Sugru it&apos;s this easy! You can use any number of objects as a door stop, here we&apos;ve used a nice looking rock as an example. Step 1 — Roll your Sugru into three small sausages. Step 2 — Push each piece onto the base of the rock and shape into a small pyramid. Step 3 — Level the item so the Sugru squishes into level feet — rub a little soapy water on the surface first to stop the Sugru sticking. We have also added another bumper to the front of the rock, to stop it from damaging the door. In 24 hours the Sugru will be cured and your home will be a little more peaceful. That&apos;s one more problem crossed off your to-do list! 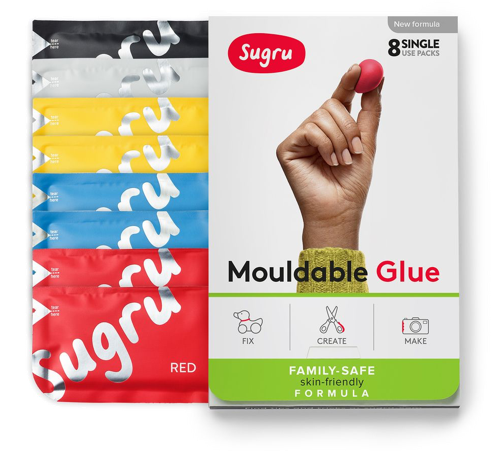 Sugru is hand-mouldable so it&apos;s easy to shape, and it sticks to most materials so it will form a strong bond for as long as you want it. Sugru cures into a grippy, flexible silicone rubber and has excellent dampening properties. Plus it&apos;s removable, so you can take it off if you ever want to. Check out other clever ideas to help make life more shhhh and head over to our Home Improvement section for loads more project ideas.